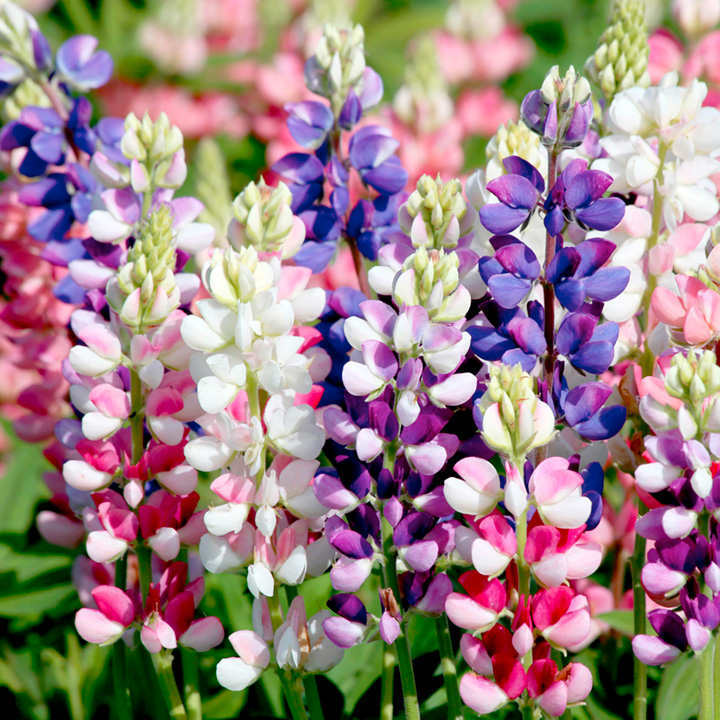 Lovely highly scented dawrf lupin in a mix of blues, reds, pinks, whites and mauves within the abundance of beautiful robust flower spikes on each plant. 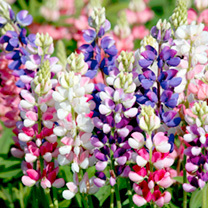 Ideal for patio gardens and front/mid border plant. Flowers July-September Year 2. Height 30-40cm (12-16"). HA - Hardy annual. Sow thinly in pots or trays in a propagator on a windowsill or in a greenhouse in quality, moist compost at approximately 18-20ºC (64-68ºF), 6mm (¼") deep and lightly cover with compost or vermiculite (germination 14-20 days). Transplant resulting seedlings spacing them out 5cm (2") apart in trays and grow on. Plant out 35cm (14") apart. Alternatively sow thinly direct into into finely raked, moist, warm & weed free soil 6mm (1/4") deep. Thin seedlings out for final spacing of 45cm (18") apart. Ideal for beds and borders, patio pots and containers. Scented. Attractive to bees. Suitable for cut flowers. Grows well in sun or shade.